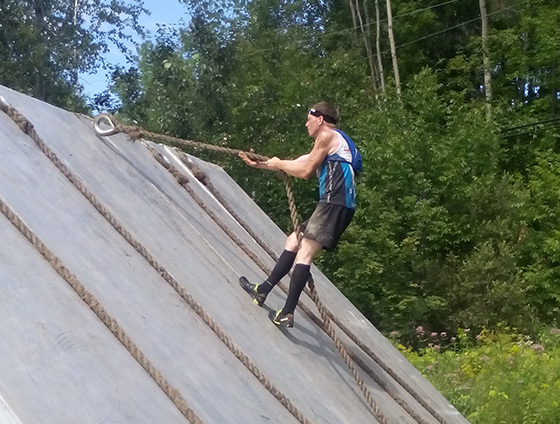 Steve Ratte battles Ankylosing Spondylitis on Spartan Race at at time. 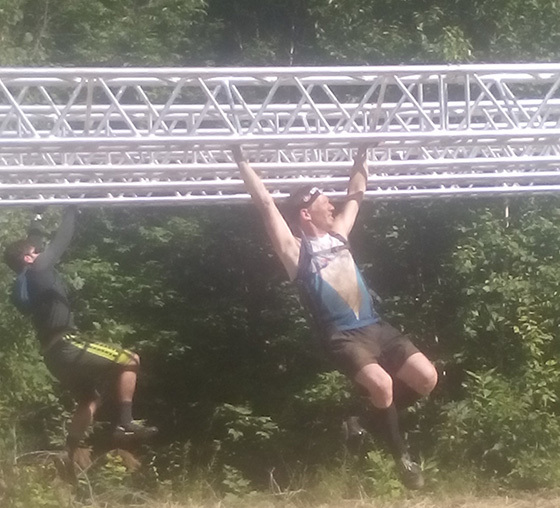 When he hears the familiar Spartan race battle cry, “Aroo, Aroo!” ring amidst the mass of adrenaline-fueled competitors in the starting corral, he finds himself both excited and nervous for the uncertain adventure in front of him. He doesn’t have any idea which obstacles lay before him, nor does he know exactly how long the race is. In fact, the only certainty he has about the course is that it’s guaranteed to push him to his breaking point. However, Steve’s thirteen year battle with Ankylosing Spondylitis has taught him a thing or two about navigating surprising obstacles. 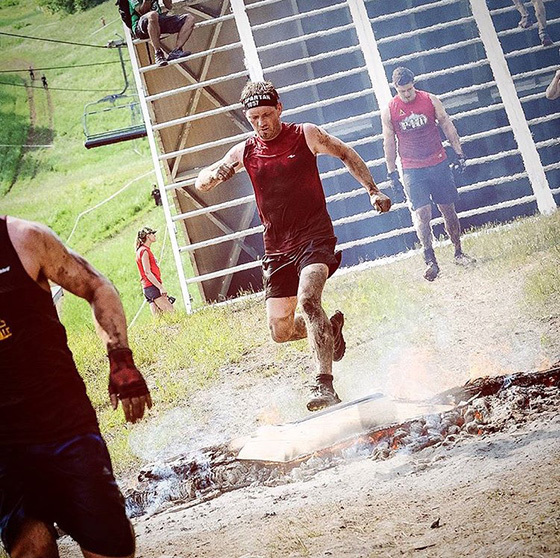 Being the true Spartan warrior that he is, Steve has embraced numerous challenges both on and off the course, and his journey has inspired others to do the same. Steve was a typical twenty-something young adult; working, being active and enjoying life, when suddenly he became plagued with mysterious aches and pains. Eventually, he was diagnosed with Ankylosing Spondylitis (AS), and although he was relieved to finally have an answer to his ailments, the challenges that come with the disease were often more than Steve could bear. Steves admitted that for many years his battle with AS and the uncertainty of his flares upended his life, shattered his morale, and left him without a glimmer of hope. However, Steve’s attitude took a turn for the better when he found and befriended fellow athletes with Ankylosing Spondylitis – including Racing For A Cure teammates Helgi Olafson and Isabel Lanssens. 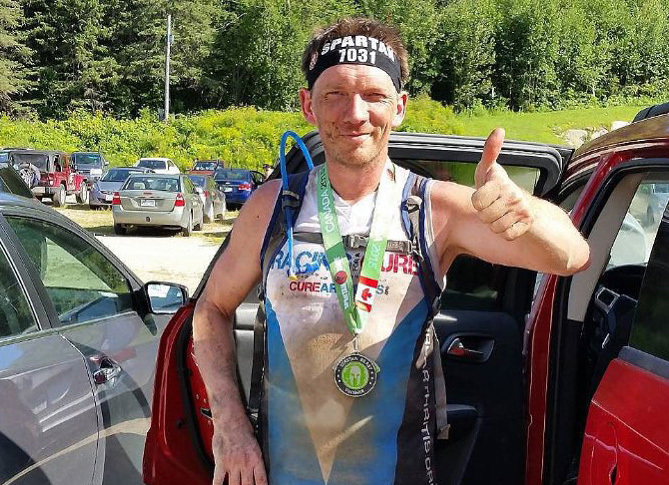 These fellow arthritis athletes inspired him to believe that he could do more and he set out to compete with the Arthritis National Research Foundation’s Racing For A Cure team. 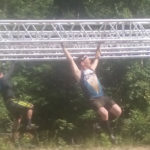 The thrill of fearlessly tackling a day-long obstacle course fueled Steve’s confidence in his ability to manage each challenge despite his condition. His racing and determination gave him back the control of his body and removed some of the feelings he once had about being held hostage by his disease. 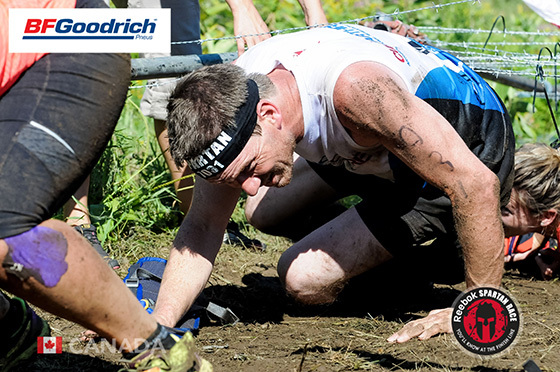 There’s a common saying among Spartan Racers when referring to the obstacles that lie ahead; namely, “you’ll know at the finish line.” Steve said that the phrase resonated with him as he competed in an epic test of strength and courage a few weeks ago in a 26km race. He finished in six hours, 26 minutes, and 34 seconds, demolishing his goal time of seven hours. What made his feat all the more impressive was that he had completed a 17km Spartan race just a day earlier in a remarkable doubleheader. Support Ankylosing Spondylitis and arthritis research by making a donation to Steve’s Racing For A Cure campaign! 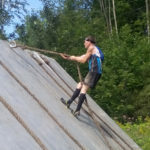 As for his next challenge, Steve has his sights set on competing in a 42km Spartan race, dubbed “The Ultra Beast.” In the meantime, he will continue to utilize his racing to spread arthritis awareness and hope to his fellow arthritis sufferers. Whether it’s launching himself over a pit of fire or battling his flaring joints, Steve feels well-equipped to overcome any obstacle. 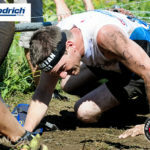 What obstacles have you overcome since you were first diagnosed with Ankylosing Spondylitis or your form of arthritis? Tell us about your triumphs in the comments below, and be sure to check out Racing For A Cure!